You can access your library card account online to manage holds, view checkouts, renew items, and to update contact information. $20 to use a computer. Go to www.cphlibrary.org > My Account (located in top right). Login with your library card number (no spaces) and your password (typically the last four numbers of your phone number). Click My Account > Items Out. To renew, click on check box to left of item(s) > click Renew Selected Items or Renew All Items. After renewing, check due dates to make sure your items were renewed. Items will be renewed if renewals are available and there are no holds. Your physical and digital items checked out will display; you may need to click Refresh eContent to update the list. Digital content must be renewed or borrowed again through the corresponding content provider. Click My Account > Requests. To cancel or postpone/reactivate a request, click check box to left of item(s) > click Cancel Selected or Postpone/Reactivate Selected Requests. When an item is available, the status will say Held and we will contact you via your preferred method. Digital content holds must be managed through the corresponding content provider. Click My Account > Fines & Fees. 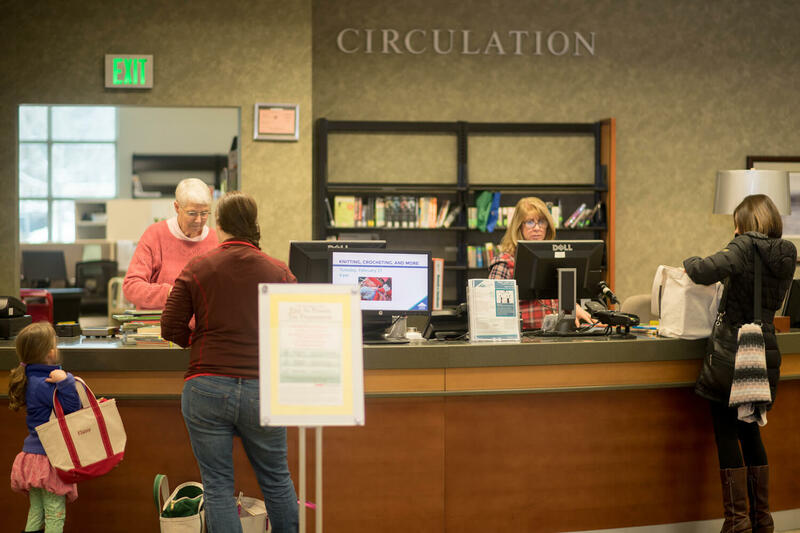 Fines can be paid at Circulation by cash, check, or credit/debit card. See note above regarding good standing. See Library Charges and Fees policy for details on fines. Click My Account > Log Out.